The U18 Professional Development League has had an unscheduled winter break with the recent weather and while there wasn’t a full set of fixture scheduled for last weekend, there were four games played including two in the northern group which affected the three teams above us in the table. Burnley started the day in fourth place, three points behind Nottingham Forest in second place. We were due to play Sheffield United, one place behind us, at Gawthorpe, but the game was called off because of the weather which meant we had to watch the top three to see how much further they might pull away from us. Two of them faced each other with Forest at home to second place Sheffield Wednesday. That one ended in a 1-1 draw but the point gained was enough to take Wednesday back to the top of the league with previous leaders Leeds surprisingly beaten by Bolton. Crystal Palace won at Watford in the southern group, a game between two teams in the bottom half, but at the other end of the table, a big win for Cardiff enabled them to go six points clear of Ipswich at the top of the league. Hopefully the weather will relent this week with a full set of fixtures scheduled which sees us travel to Barnsley. New leaders Sheffield Wednesday are at home against Crewe whilst for a second week in succession we see second and third against each other with Forest this time away against Leeds. 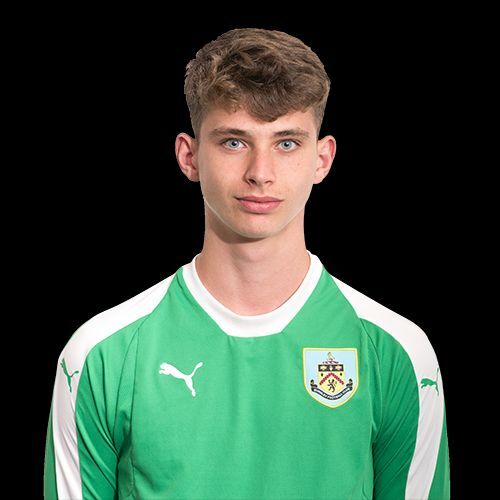 The player photographed this week is goalkeeper Harry Allen who is currently a first year scholar.